The article is devoted to the recreation of multi-faceted, authentic picture of political and cultural activities of Russian emigrants. Scientific publications in USSR and Russia adequately disclosed the history of relations between the Soviet Union and the League of Nations, but left unlightened the problem of relations between the League of Nations and the White Russia. In this connection, the activities of the White Russia representatives in Western Europe in the process of formation and commencement of work of the League of Nations is of historical interest. 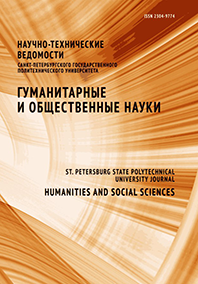 The article investigates the content of educational activities of the members of the Russian society of league of peoples as the execution of one of the objectives of the program of liberal society.